Everyday life is stressful, and working endless hours can affect your mood and health. When you feel like you need a break, you know it’s time for a getaway by the beach! Leave the bustle of the city and take an epic California road trip from Sacramento to Mendocino! We’ve put together the ultimate guide to help you have the best time ever on your way there. Follow our instructions for a smooth ride, and take note of our suggestions to have fun along the way! 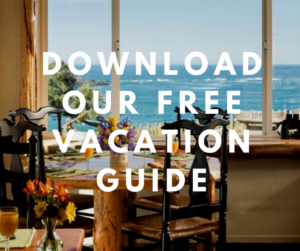 Once you arrive at your destination, you’ll need our free Vacation Guide. It has all the top recommendations for local restaurants, events, museums, shops, outdoor adventures, and more! You’ve heard it said before, travel is not about the destination, it’s all about the journey. Well, the route we have selected might not be the fastest way to get from Sacramento to Mendocino, but it’s the most scenic! It will take you a little over four hours to complete without counting your stops at the marvelous attractions we’ve listed below. Don’t rush! Enjoy your day and discover California gems on your way! Road Trip Essentials: Water, snacks, a printable road map of Northern California, a cozy scarf and a jacket, comfortable shoes (with an additional pair of hiking boots), and a great playlist. Start your journey from Sacramento on Highway 128 and head west. Your first stop is 50 minutes away from the city so don’t get too cozy in your seat! Putah Creek is a wonderful, 673-acre wildlife area that will easily take your breath away. 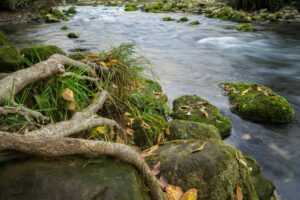 Picture lush hillsides, blue oak woodland, and various wildlife species roaming this enchanted nature preserve. Sounds idyllic, doesn’t it? Stop for a nice hike and remember to take your camera with you! 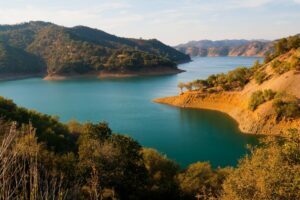 Lake Berryessa is another gorgeous spot you need to see. Located just 45 minutes from Putah Creek right off Hwy 128, this reservoir in the Vaca Mountains is the largest lake in Napa County! 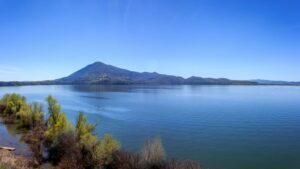 On top of being splendid, the lake also features a mysterious phenomenon that you don’t want to miss. The spillway, which is essentially a large drain, starts spiraling water once it’s full, making it look like a supernatural whirlpool or another Stargate portal! Continue down Highway 128 until you reach the town of St. Helena. This quaint village is a must-stop destination for any wine lover. 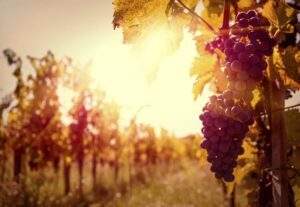 After all, you’re going through the Napa Valley, so you might as well enjoy some of its world-renowned wines! Travel + Leisure called St. Helena “the best of California’s wine country”, and as soon as you get there you’ll understand why! You can find more than 416 vineyards within the five-mile town limits, including Rutherford Grove Winery, Beringer Vineyards, Markham Vineyards, as well as other surrounding gems like the picturesque Castello di Amorosa and even Francis Ford Coppola’s Inglenook Winery. Stop for a couple hours and go wine tasting at some of them! Time to get off the beaten path and head North! Switch to CA-29 from Hwy 128 and make your way up to Clear Lake. It should take you less than an hour and a half from St. Helena. Clear Lake encompasses more than 100 miles of shoreline and has gorgeous views. If you’ve been to Italy, you can’t help but notice the resemblance with Lake Garda. Indeed, its crystal blue water, clean air, and volcanic surroundings are breathtaking! 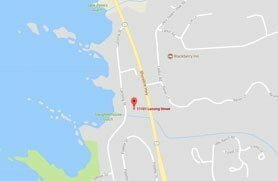 The closest city to CA-29 and Hwy 101 is Lakeport, so how about stopping for lunch? Park Place Restaurant has been a local favorite for more than 30 years and offers fresh and delicious entrees with a stunning view of the lake. 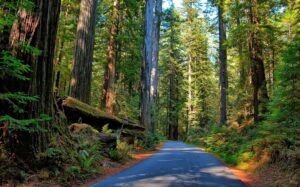 Drive deep into Northern California for the last part of your road trip, and roll down your window to breath in the refreshing, pinewood smell of the Redwoods surrounding you! Keep driving along Hwy 101 through the Redwood Valley, then take CA-20 through Jackson State Forest until you reach the coast. From there, you can easily drive down to Mendocino on a small portion of the famous Hwy 1. Enjoy your Northern California experience to the fullest and go on a Redwood Walk you’ll remember forever! The park features more than 50,000 acres of forest and 11 hikes you can choose from. 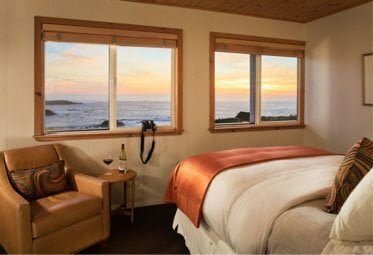 We can’t think of a better way to end your road trip to Mendocino! 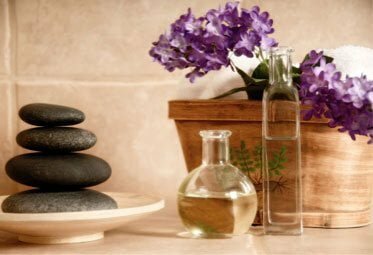 Your Rewarding Stay In the Best B&B in Mendocino! 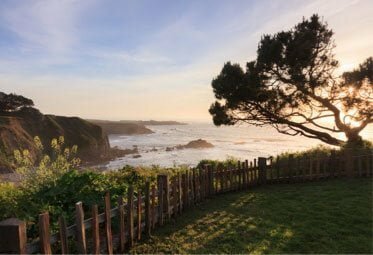 After such an epic road trip across Northern California and possibly a gorgeous hike through the Jackson State Forest, you deserve the best and most relaxing inn you can find in Mendocino. Trust us —Sea Rock Inn won’t disappoint! Our gorgeous Inn is one of the top romantic destinations in California and offers the relaxing experience you need for your getaway. Get close to the cliffs of the Pacific Ocean and marvel at our unobstructed views. 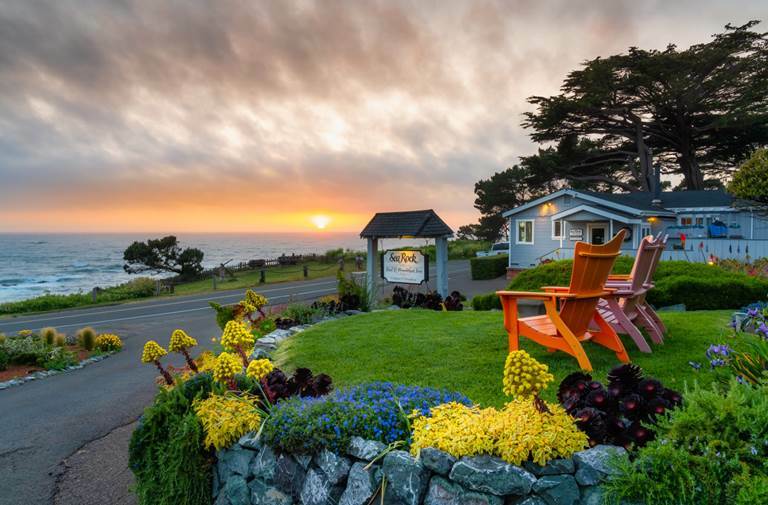 Sea Rock Inn is the perfect place to watch a sunset with either a glass of wine or a local beer. 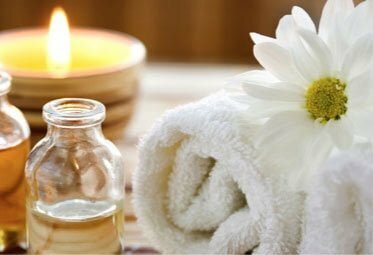 All our rooms include simple, clean, and luxurious bedding and relaxing decor. Browse our selection today and pick your favorite! Imagine yourself in our Junior Suite 18, where you can lounge on the comfy queen bed and cozy up by the fireplace while sipping on a glass of wine. When you wake up the next morning, throw a blanket over your shoulders and step out on your private deck to gaze at the sunrise over the ocean in the distance. You’re so close you can smell the salt in the air! Before you head out, join us in the main Inn, where a delicious homemade breakfast awaits you!